Well last night was a little rough. We all fell asleep and slept pretty well until it happened… Thunder and Lightning at almost 03:00 hours. I scurried to get the rainfly on the Wenzel. 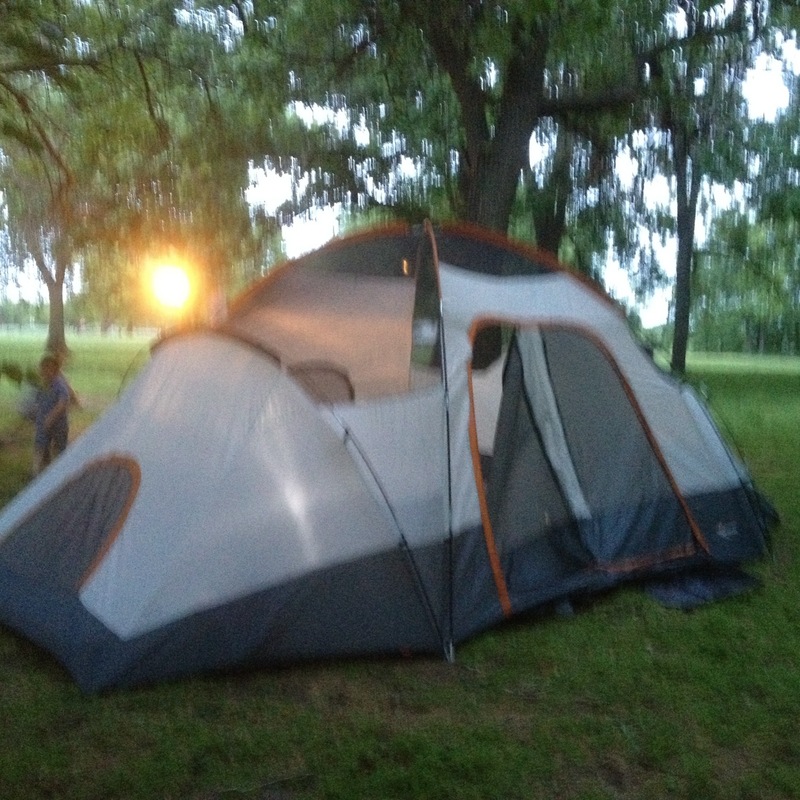 Even though this tent is monstrous it is very user friendly and kept us dry all night. I was awoken this morning at 06:00 hours by two boys who needed the restroom. We didn’t go back to sleep. We went fishing! We fished for about an hour until the rain was making it miserable. We decided to go back to the campground and start packing up the tent. After the rain subsided we hit the water again. We fished until about one in the afternoon. The fishing was great but the catching sucked. We decided to grab some food in Eldorado. We then picnicked in the East park which is a very cool park that was built in 1889. After we had “crushed” our lunch the boys played for a couple hours and I swung the Garrett. My dreams of easy silver coins were quickly blown up. I could visibly see where another detectorist had been. 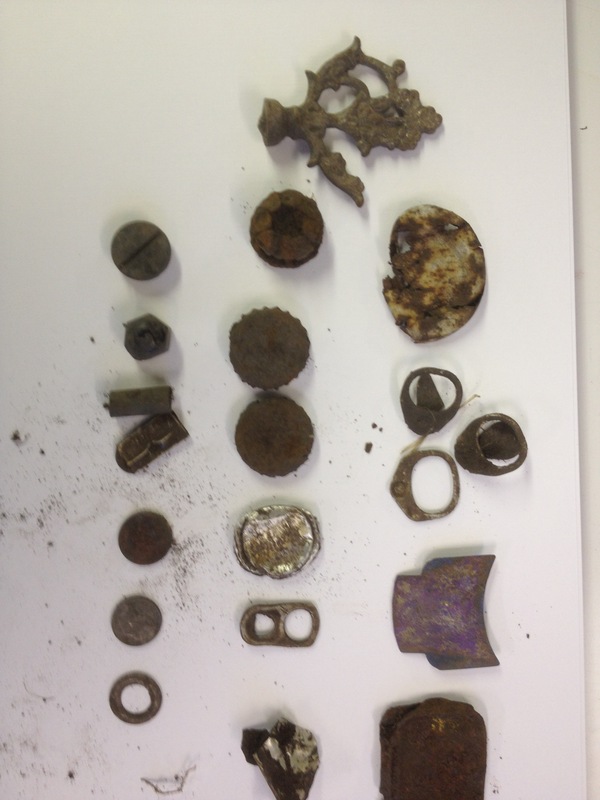 In closing I can say that I wish we had caught fish, had perfect weather, and found several caches of gold and silver. But to see the enjoyment on my two oldest sons faces wile being in the great outdoors is the best payoff. All in all a great weekend! Well this weekend we are celebrating Karson’s birthday with a camping trip. He wanted to invite a friend and we set the plans in motion. Saturday was the big day. Birthday party came and went. We finally got to the lake. Set up the tent, start the fire, enjoyed a couple beers and smores. Pack all the kids into the tent. The other Dad and I were just about ready to call it a night. Karson’s friend said he wasn’t feeling well. We figured it was homesickness. As I was putting the fire out I heard the other Dad comforting his son and then the son got sick. Karson was quite sad and the effects were compounded by being overly tired… Finally as I lay here both boys are asleep and I am on my way to it. Good night all and check back in for part two of the first camping trip! Yesterday on my lunch break I hit 3 empty lots that I thought were city owned. Much to my surprise After about 10-15 minutes I saw a guy walking my way. Come to find out he owns the lots for future business expansion. After a short conversation permission was granted to hunt them. There is definitely a ton of trash in the ground. I actually started discriminating out iron just to give my ears a break from the constant iron tones. The only coins I managed to find was a $.48 pocket spill. All clad, no silver, no wheaties. I know it is there though. This hunt will continue! Well I hunted the oldest park in Wichita today over lunch. Hyde park. I assembled my finds in a photo. I think it speaks for itself. Some somewhat interesting stuff. It was a gorgeous day on the bike and to be outside. Happy hunting! Well this blog will start out bright and early Saturday morning. I met my buddy Pulltab Miner at the old elementary school where I found the 1890 farthing. We hunted for about 3 hours and only managed a couple wheat pennies. Sunday after church the boys and I decided to head to Augusta Ks to do some fun stuff. I quickly realized that I had left my pinpointer at home. I decided that we would throw the baseball and frisbee around instead of detecting. After a couple hours I saw a spot that I couldn’t resist hunting. Dug two trash targets and on the third one my digger busted. We decided to hit one of the local playgrounds which would allow the boys to play and my digging much easier. 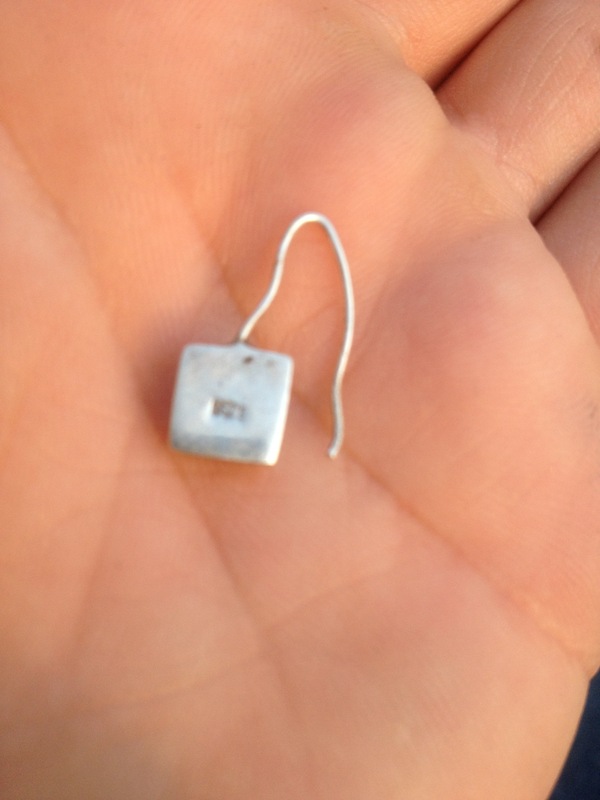 At that playground we scored $.67 and a silver necklace with a pendant containing the lords prayer! 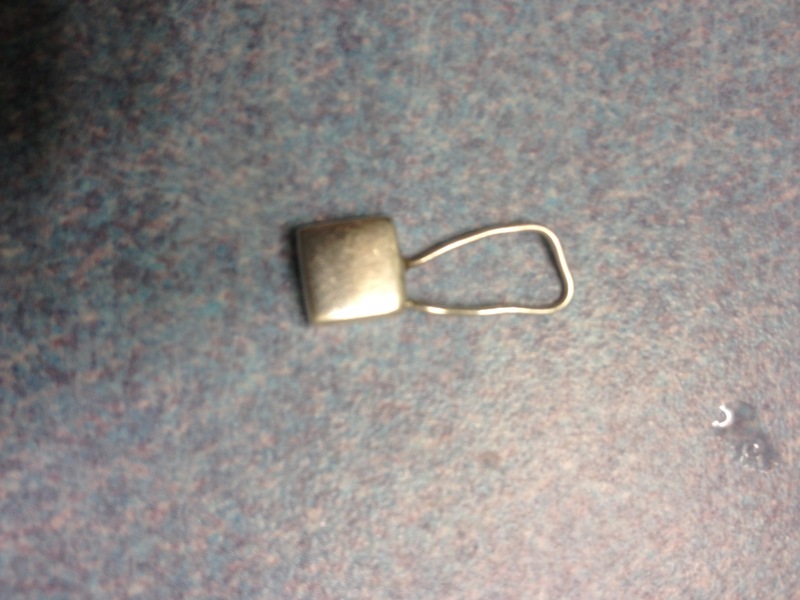 I was then contacted by a person who had filed a report on Lostmystuff.net I decided to go help look for jewelry and coin collection the person had lost in the Andover tornado of 1991. Kolton and I must have dug 50-60 targets. 30 of which were pennies. Wheats and memorials abound. Then I dug a silver spoon that was bent in a perfect 90 degree angle and a mercury dime from 1938. I returned all finds to the homeowner. The silver spoon was part of the homeowners set that had been handed down from her grandparents. I asked the homeowners if they would sell me the merc and they graciously gave it to me for my efforts. I only hunted about 1/4 of the yard and I will be returning to help them out as much as possible. All in all it was a good weekend! Plus I feel good about helping out someone who appreciated it..
Today over the lunch break I was hunting at an old elementary school in Wichita. I found a few old surface coins that were nothing special. Then it happened, a good solid coin signal at 6″ deep. I dug my plug which was a full 6″ blades worth. Nothing.. So I dug another inch and then the sweet belltone was in my plug. 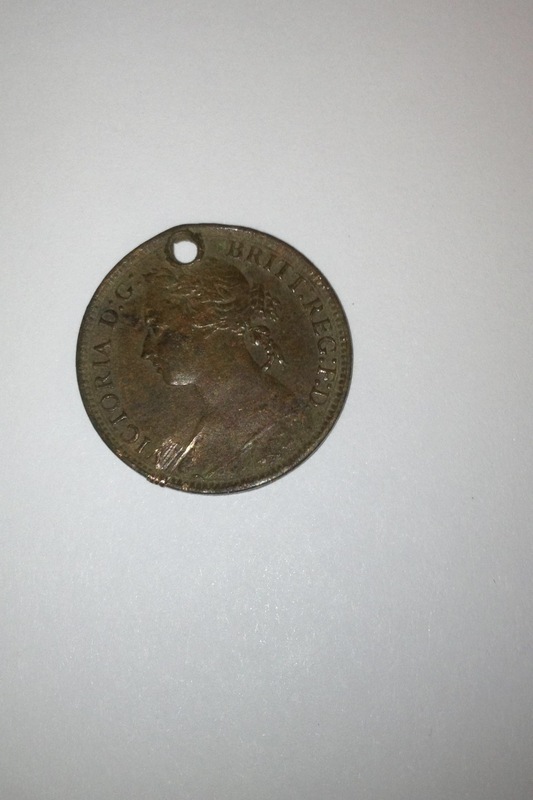 I pinpointed around and I was shocked to find an 1890 queen Victoria farthing. Someone has used it as a necklace but I still think it is pretty cool. My mind instantly started thinking about the mint that made the coin. How did it get to Wichita? How long ago was it dropped? The 30’s? 40’s? Who knows! So far this is my oldest coin and this find solidifies my obsession! Today something has been heavy on my mind. I spent some time today detecting the curb strip of an early 1900’s home. This property is across the street from the home I discussed in yesterdays blog post. While there I dug 15 targets and only came up with $.24. While my oldest son was at baseball practice I detected around and found $.28. Later in the evening my lovely bride needed me to get her some more fabric for a quilt she is doing. 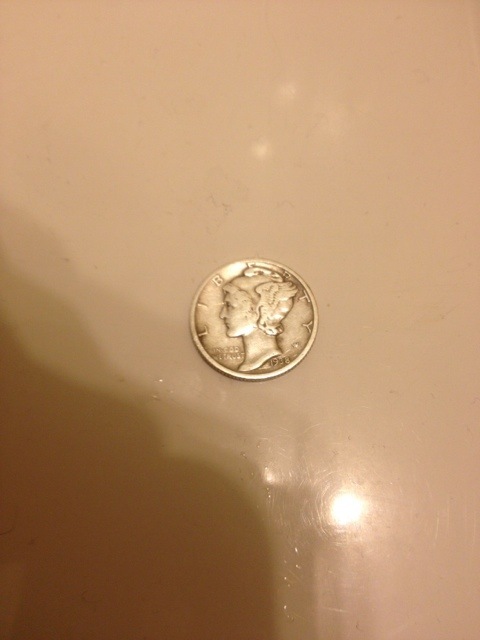 On my way home I stopped at a newer school and picked up $.52…. Every one of the coins were modern. Truth be told I would have been more satisfied if I had found one silver coin at any of these locations. The problem is that I am doing too much searching and not enough time researching. I have to say that my skills are improving with the exception of research. If you have been following my posts you know that my research mentioned in old school and finally, paid off with several wheat pennies and my first silver coin, and some relics. Lately my hunts have been lacking this crucial step! Today, I spent sometime metal detecting a home in Delano (old part of middle Wichita) I was graciously allowed to detect this 1891 homestead by the company that has gone through and totally renovated it. I had seen pictures but was pleasantly surprised when I got there and discovered a large corner lot! I met who I will call my Mentor there. I pulled the Ace out of my bag. The new motorcycle bag seems to work quite well. After unloading our machines we fired up our detectors and got to work! The weather was amazing and the quiet neighborhood was a nice addition. After about 10 minutes I had found my first coin among all of the low iron tones. I asked my mentor if he was getting the same iron signals and he confirmed. It seems like a bunch of roofing nails were buried about an inch and a half deep. Neither one of us found silver or gold coins but we did manage a couple wheat pennies and a little clad. I was admiring the brand new windows of this home while I was detecting around two old clothes lines. I think for the asking price that this is a pretty sweet property! I believe they are asking $79,000 dollars for a home with new plumbing, new heat/air, character, and new windows. I am hoping to detect this property a few more times before it sells. If you would like more info on the home send me an email and I can get you in touch with the right person! My mentor and I are certain we will find some good stuff based on the age of the property.With this much history you have to take your time and do it right! 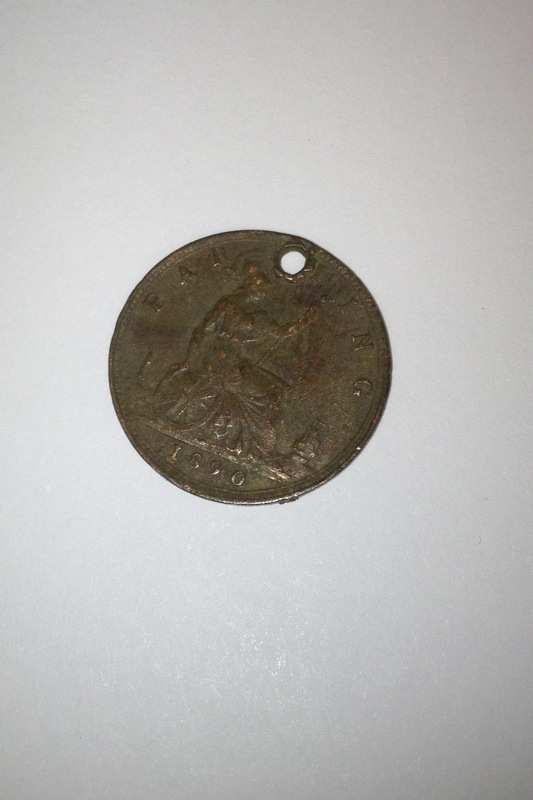 Hopefully my next post will include a silver coin, gold coin, or possibly a nice old relic! Happy Hunting and thanks for reading!